Lizzy Forzley is a Margaritaville college ambassador at Indiana University. Learn more about Margaritaville University here. 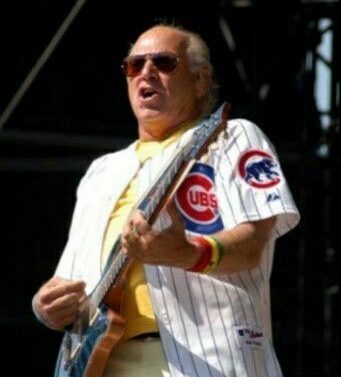 In 2005, Jimmy Buffett and the Coral Reefers performed at Chicago’s Wrigley Field as the first to ever play the venue, setting precedence for performers such as Billy Joel, Paul McCartney, and come the end of August, Zac Brown, who Jimmy sang with on the hit “Knee Deep.” The groundbreaking 2005 performance ended with one promise: when the Chicago Cubs win the World Series, he would return. For many Chicago Cubs fans, it’s hard to forget what came next, but, 12 years later, the Cubs did just that, beating the Cleveland Indians in game seven with a grounder to Kris Bryant, ending the 2016 season, a 108-year losing streak, and the 71-year-old Billy Goat curse. 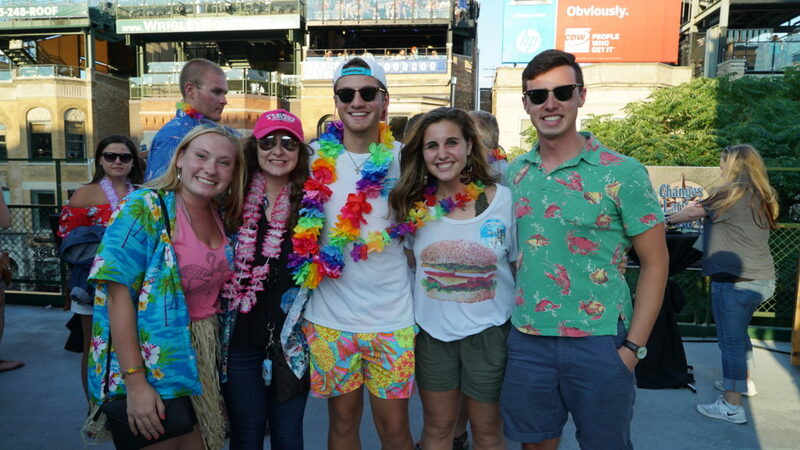 And if any Cubs fans or Parrotheads forgot this sight, it followed conch shell calls on the stage screens to kick off Jimmy Buffett’s 2017 I Don’t Know Tour concert at Wrigley. Living in Chicago my whole life as a second-generation Parrothead, I knew this Wrigley concert would be one for the books. Our family’s usual Tinley Park tailgate set up was replaced by a cabana at Wrigleyville’s Deuces, surrounded by hundreds of strangers, turned new best friends, in Cubs jerseys and Hawaiian shirts jumping into the bar pool. Music lovers took over the entire place, and The Old Crow across the street, and every other bar on Clark for that matter. 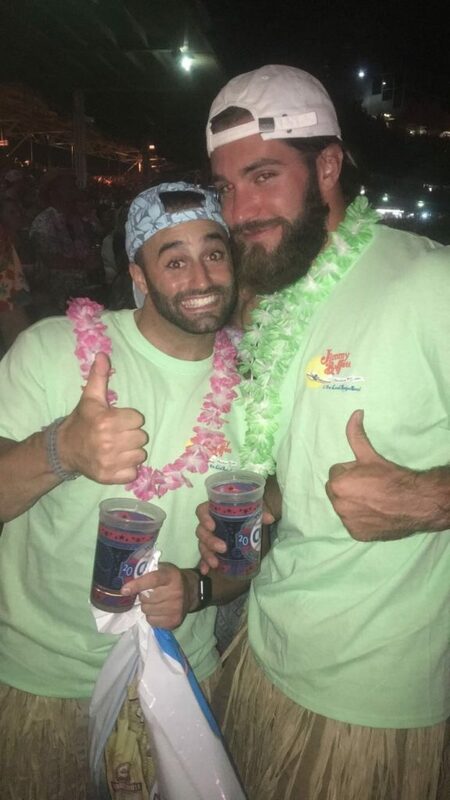 After many cheeseburgers in my favorite paradise, it was time to go to the pre-show party (another Margaritaville University perk!). 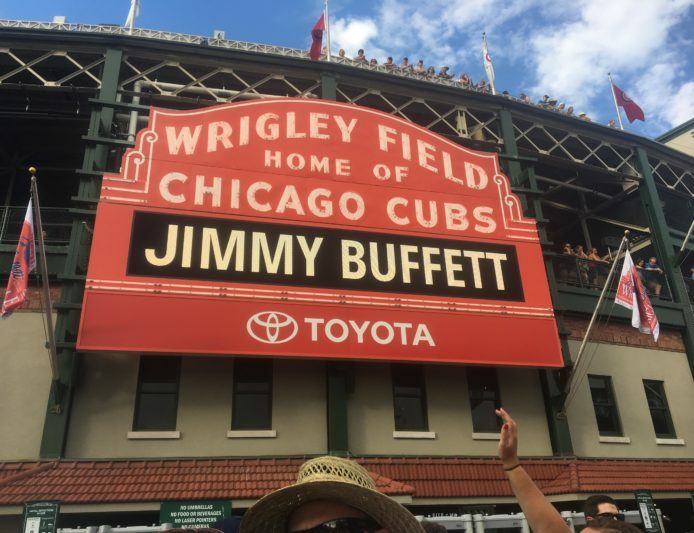 We entered through the ballpark gates after taking pictures outside the Field with “Jimmy Buffett” on the Wrigley Field Marquee. 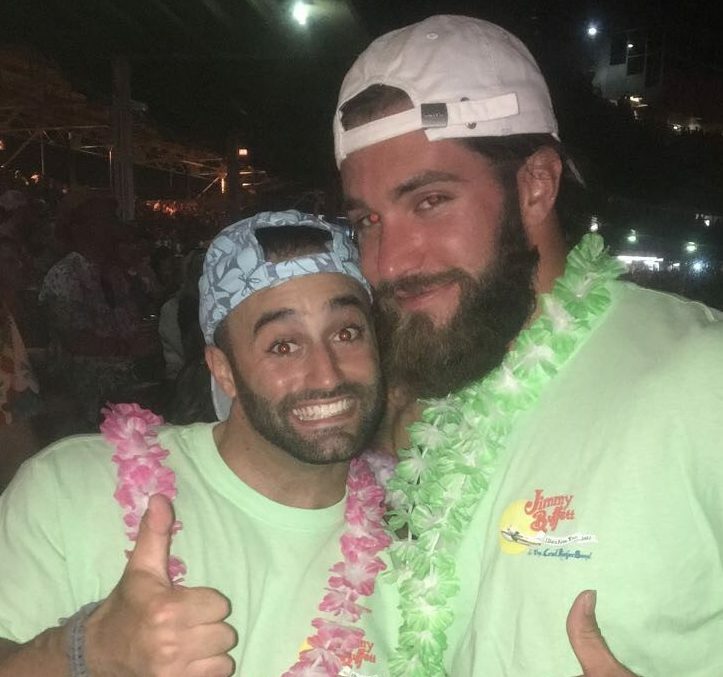 Once inside the pre-show, my sister, parents and I sipped margaritas and LandSharks as we met band members, other college ambassadors, and the Margaritaville ambassador leaders on the right field deck. The stage went black, the crowd went wild, and our eyes shifted to the right field bleachers where my dad predicted Jimmy would finish the show as he had more than 10 years before. Per usual, he was right. Jimmy wasn’t alone, and with Mac McAnally sang “Tin Cup Chalice” fulfilling the promise made regarding the silver World Series trophy coming home to Wrigley Field.